Mindfulness is a stress-reducing practice and a way of being that’s creating a huge buzz around our increasingly fast-paced world. In palliative care, it’s a therapeutic tool that can offer patients profound relief from anxiety and the discomforting symptoms of their disease. We’ve teamed up with Lauren Kriegel from the Rutgers Cancer Institute of New Jersey to explore some of the best practices and extraordinary benefits of mindfulness. 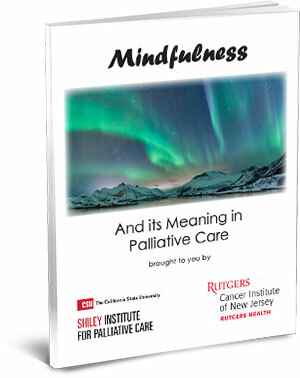 Enjoy this practical guide to mindfulness and discover how it can benefit you and your most vulnerable patients. Check out our Career-Building Palliative Care Courses for Social Workers and Counselors! Critical Palliative Care Skills for Social Workers – Instructor-Led. This 8-week, online course teaches the essential skills that every social worker needs to know. If your career involves any involvement with palliative care, you’ll find this engaging and interactive course an ideal way to build confidence and keep knowledge and skills up to date. Post MSW Certificate in Palliative Care – Instructor-Led. This 8-month, online course is designed to provide master’s-prepared social workers with the knowledge and skills to be successful in palliative care and interprofessional environments. Many of our students describe this course as a life-changing experience! Applying Motivational Interviewing Techniques & Interventions in Palliative Care – Self-Paced. Start anytime. Motivational interviewing is a technique that clinicians use to help patients identify and overcome reluctance to discuss their goals of care. 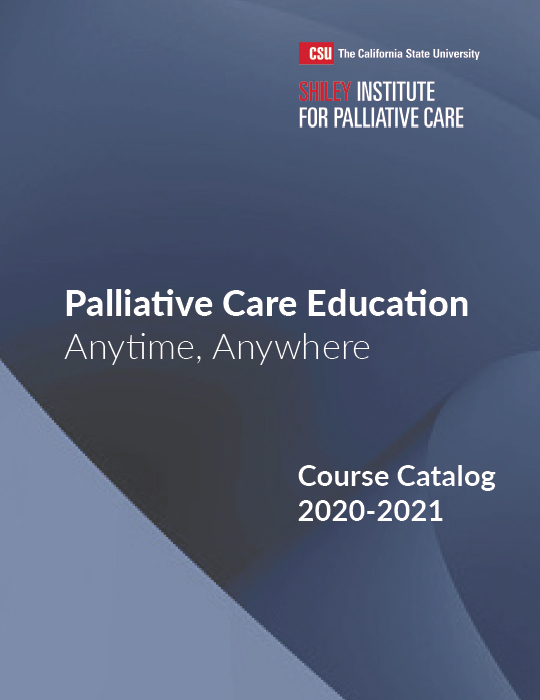 Social workers find this online course helpful in increasing patient and family caregiver involvement in establishing their own palliative care goals.